If you’re looking for an adult only community where you can pursue your retirement dreams or simply enjoy all the fun and sun that have made Central Florida famous, Lake Griffin Harbor is the ideal spot – especially if you’re on a typical retirement budget. 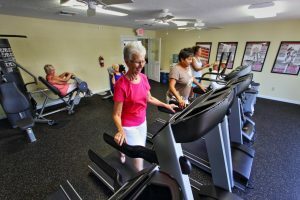 Our gated community of attractive, well-maintained manufactured homes is perched on the edge of beautiful Lake Griffin in charming Leesburg, and we take pride in offering an affordable active lifestyle for adults 55 and older. Plus, Lake Griffin Harbor goes well beyond the ordinary 55-plus community by offering practically unlimited opportunities for boating, fishing, and bird-watching that are facilitated by our enviable waterfront location. To make the most of that perk, we provide a boat launch, fishing pier, 55-slip marina, and a spacious observation deck at our community clubhouse overlooking the lake. The best way to determine whether you’d enjoy living in an adult only community is to visit in person. Contact us today to arrange a tour of beautiful Lake Griffin Harbor and see everything we have to offer in sunny Central Florida.